If you are like me, one of your favorite parts of vacation is the food. Not having to cook for a week and having all these options of new restaurants and places to try makes a vacation or trip that much better. But the problem for me, is finding eateries and drinkeries worth my time, waistline, and budget. Why waste a single dollar or calorie on food that just isn't that good? 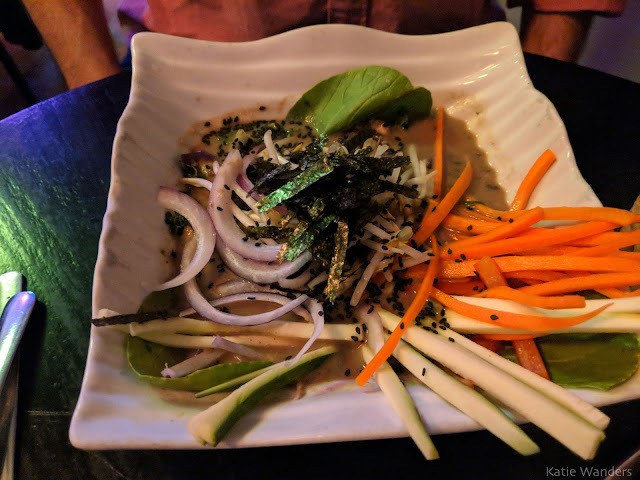 Food options are one of my most researched items pre-trip and I look for high quality, best dive, affordable, and the best splurge night option. 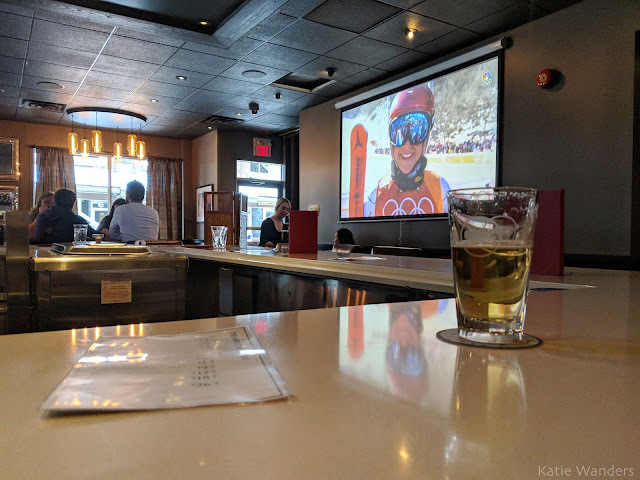 I am proud to say I did a lot of research for you while in Banff and the consensus of where to eat (where to skip) and the best place to watch the Olympics with a beer are in. Banff has a ton of food, and some great daily food specials if you are looking to get the most bang for your buck. However because there are so many options, it can be tricky to decide where to spend your hard earned cash you brought and calories you worked off on the mountain. 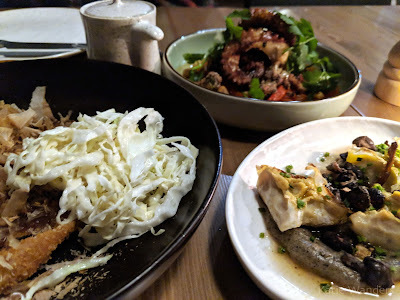 Below, I share where I eat and what I thought - where you should go and what you can skip. ** All prices include a 20% tip and are listed in US dollars. The Bison - doughnuts with a side of sunchoke ice cream and a piece of honeycomb. Best meal I had in Banff - The tapas style dishes at The Bison Restaurant & Lounge left me impressed. They are the perfect size to share and you can try a few different things on the menu. I tried great dishes like a tender octopus, delicate vegetarian dumplings and a generous portion of pork katsu with dancing tuna flakes. This farm to table style restaurant had just rebranded itself from a "meat and potatoes" type of place to this lovely and local restaurant. I loved the details in their menu which included a map of where their ingredients came from throughout central and western Canada. The atmosphere and service was top notch as the server could recite nearly every detail of each dish I asked about off the menu. 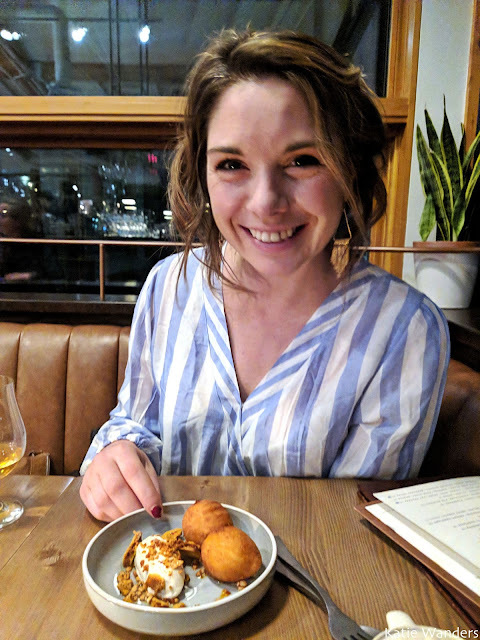 The best dessert I had in Banff was here and it was delicate doughnuts with a side of sunchoke ice cream and a piece of honeycomb. Want an amazing happy hour deal and a low key vibe with gigantic TVs encircling this oversized bar? Head to Earls. After a day of playing in the snow, I loved sipping a 3$ (that's Canadian...) beer while watching Canada dominate some of the Olympic sports. The easy to drink Rhino lager and ale wasn't anything super special but was a perfect easy to drink apre-ski option for next to nothing. 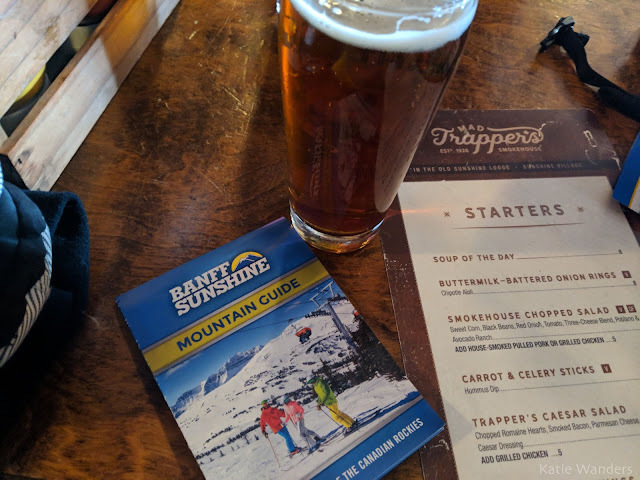 Cheap beer, cheap apps, unassuming vibe- great apre ski spot in downtown Banff. They also have daily bar specials like half price bottle of wine Tuesday and 4$ margarita Monday. If you want a deal, go to Earls. Looking for another spot good for the budget but with high-quality food? Bear Street Tavern is known for their pizza and has amazing daily specials which included $12 Mac and cheese on Thursdays (featured above, guys, this was even better than it looks) and $10 steins on Sunday (and much much more). Check out their website to see what the daily special is when you are visiting Banff. It seems to be forever busy so expect a bit of a wait or a seat at the bar. 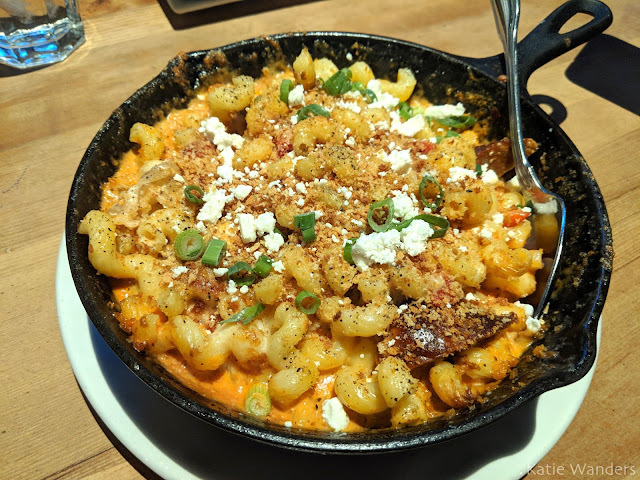 It was here at Bear Street that I learned how amazing mac and cheese can really be, and while I love a deal, I really don't need a stein of beer (it's a lot). Important lessons learned when turning 30. If you are skiing at Lake Louise and need to grab lunch, I can't recommend Kuma Yama enough. They are only open until 3 so make sure you stop in for lunch or an after ski snack. 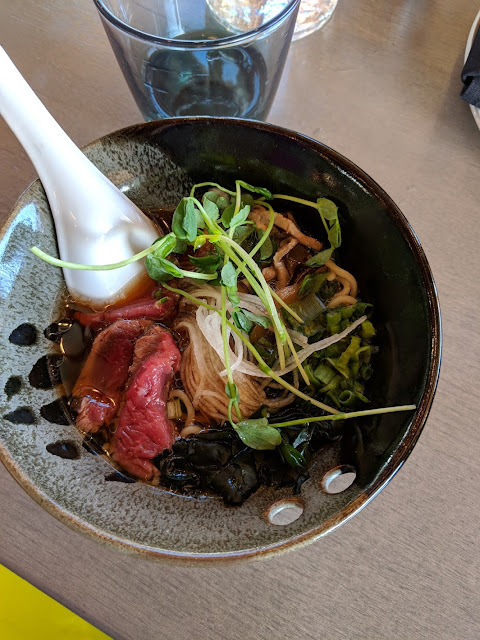 The restaurant had a great atmosphere, large open spaces, beautiful views of the resort, and great food I am still dreaming about bison ramen loaded with rare bison and a ton of veggies. At a reasonable price, especially for a ski lodge, this makes the perfect lunch on a cold day of skiing. This small bowl featured above was a half portion and hit the spot after a day of skiing in negative something degrees. While skiing at Sunshine Village, there aren't a ton of options and let me be frank, this mountain isn't known for its food. 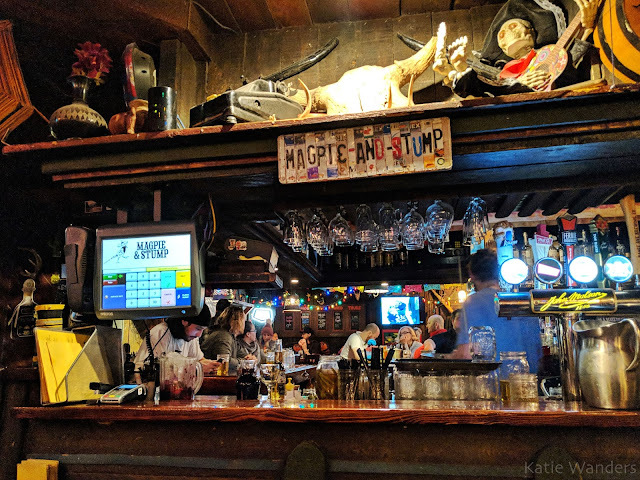 However, if you are looking for that classic ski-hole divey bar to grab a beer and something greasy to warm up with, Mad Trappers Grill and BBQ is a good choice. I had the pulled pork sandwich which was pretty good and the price was fair especially for a ski resort. Smoked on site, rich and warm after a long day of skiing. It will likely be very busy and expect to share a table with fellow skiers. This place looks like the sort of bar where you order a ski shot at with a few close friends. Its a little dark and dingy but the beer is cold and the servers are quick. Looking for a really cheap hole in the wall sort of place with great food? Head to Barpa Bills. 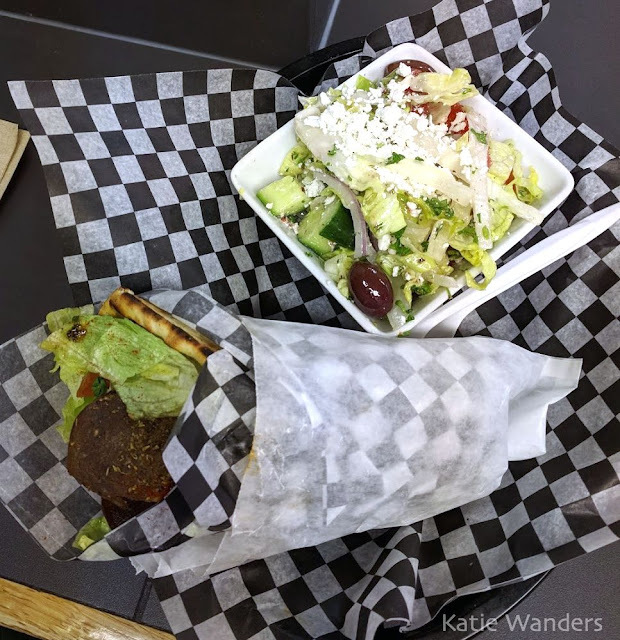 We split the Gyro and a Greek Salad and for about $12 enjoyed some great food in downtown Banff. Don't expect a fancy eatery or white linen service. There is a small seating area but Bills is behind the counter taking orders and making up delicious gyros for hungry skiers. 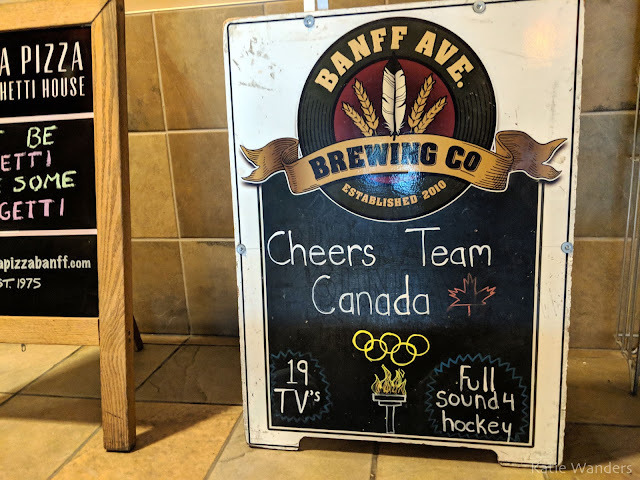 Banff Ave Brewing Co. had a great set up with TVs and a tonnnn of space. 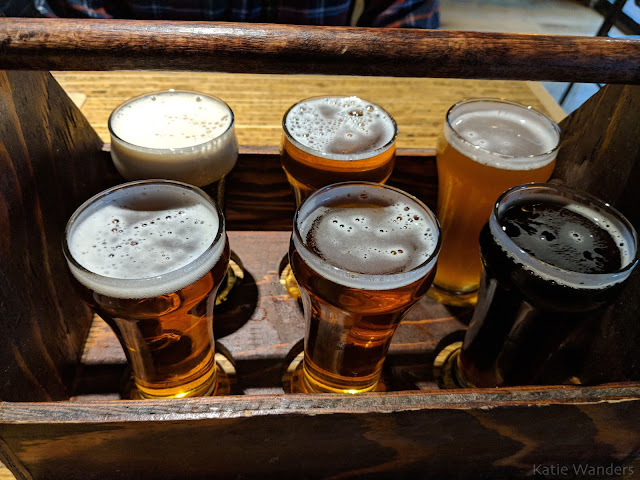 It's a great place to hang out for a bit, watch the Olympics, and try some local beer. 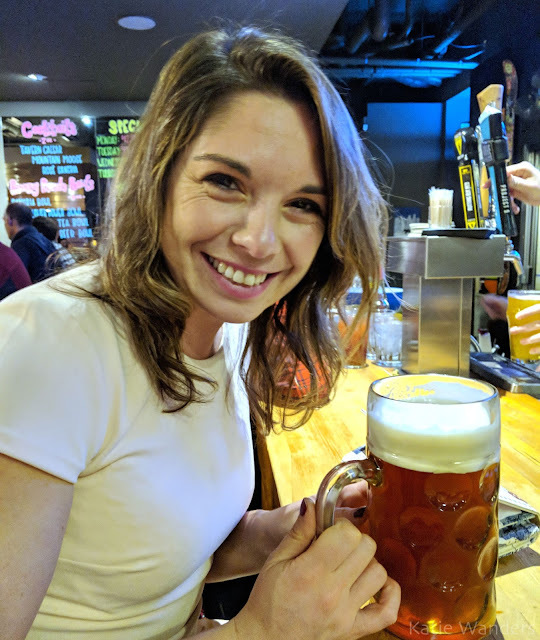 While I enjoyed their beer, none of it was anything I felt the need to buy and I was gravely disappointed in the poutine. 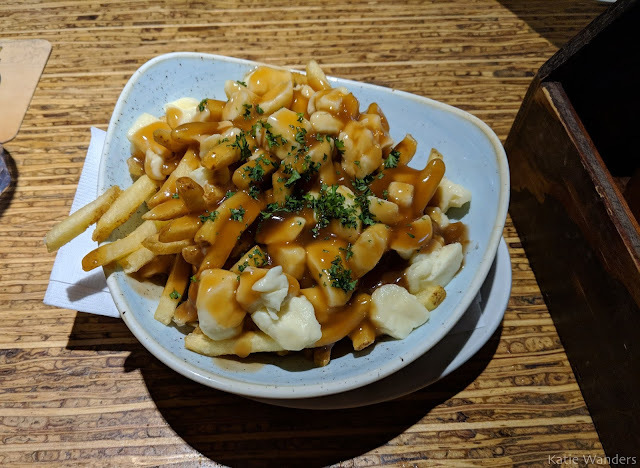 I am in Canada - the poutine should be perfection. Come to try the beer and enjoy the great atmosphere but don't bother with the poutine. 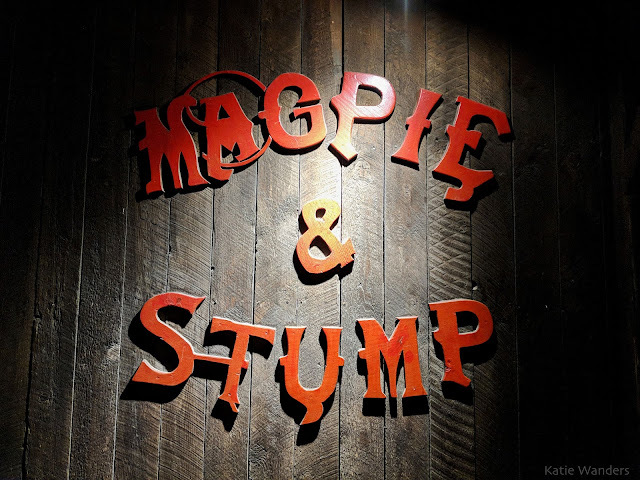 I had high expectations for Magpie and Stump. It had that Mexican Cantina vibe which is fun and the reviews were pretty good. The place was also packed so I figured that was a good sign. Oh was I disappointed... The prices were high for Mexican (this is definitely touristy Americanized Mexican) and the food just wasn't that great. We tried a burrito plate and two a la carte tacos and everything was pretty bland. Also, the options did not impress either of us. My fault for hoping for good Mexican food in a Canadian ski town. 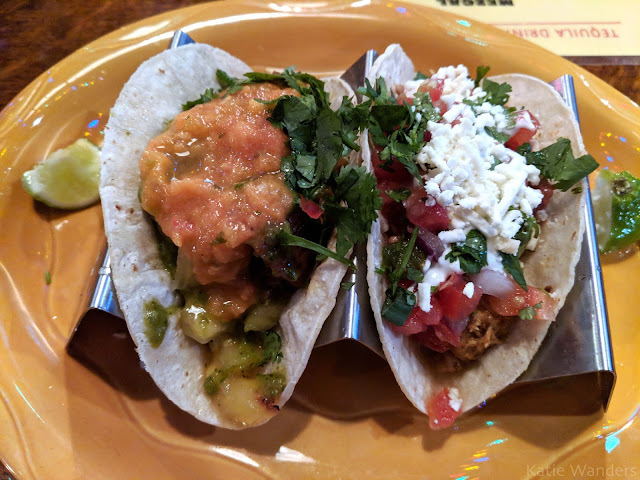 Skip Magpie and Stump and save your taco cravings for my Arizona post. For my Birthday Dinner (hello 30) I wanted something fun and fresh and not too pretentious. I originally had a reservation at Saltlik which I canceled for the trendy little vegetarian spot called Nourish Bistro. 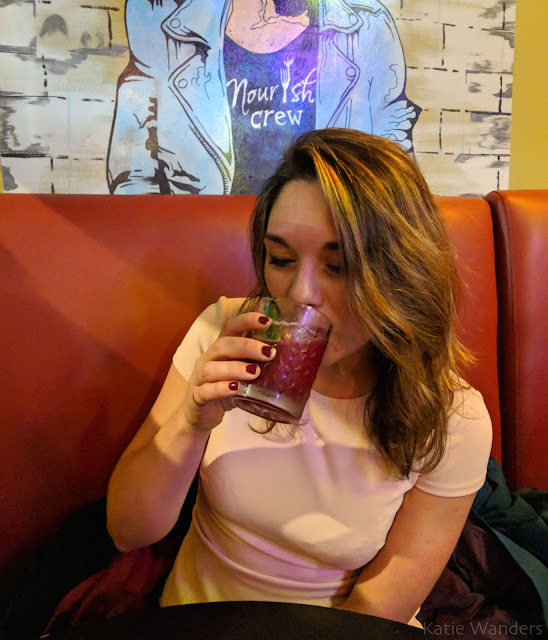 The menu looked creative and amazing and I was excited to give it a shot. First off, the drinks were quite expensive and took about 25 minutes to get them (on a Sunday night). Service was slow from start to finish and this did not start the night off well. 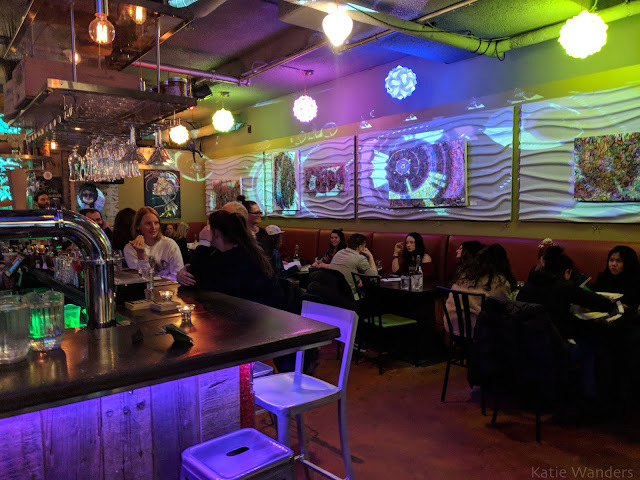 The decor was funky but pushed way too far with the flashing lights distractingly beaming and streaming across the walls- I like my disco but not while dining. 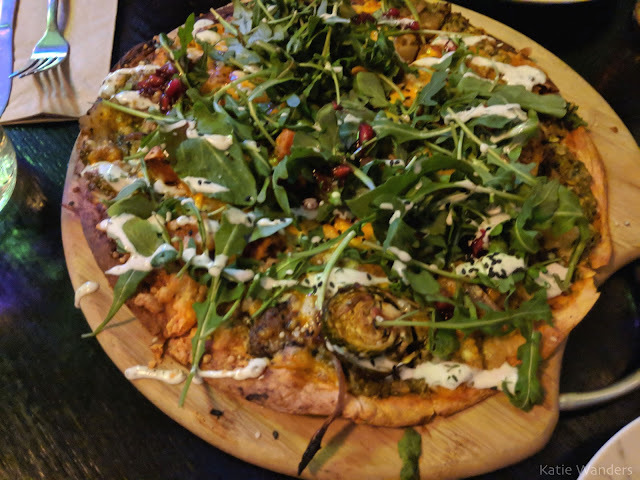 We started with the pizza special which was good, but lacked any sort of coherency - it was like all the leftovers were thrown onto a pizza and it sort of worked out. When our dinners came out (Hot Pot and King Kong Noodles), they again lacked a sense of direction and were very bland and not what we expected. We left disappointed, which we drowned out with 10$ steins and Bear Street because you only turn 30 once. If you are a vegetarian and want to try out a funky vegetarian restaurant, then sure. If you are looking for full flavor and great service, try Bear Street next door. 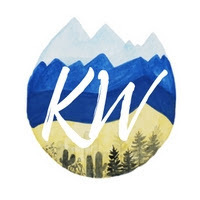 Thanks for reading and I hope you eat all the delicious things while visiting Banff. 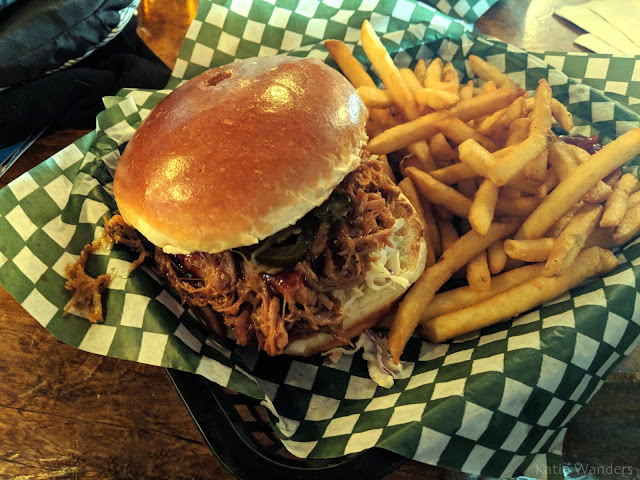 Definitely stop into the Bison and if you try any other restaurants in the area, drop a comment below. Great post! I live in Banff and have been to many of these restaurants. Earls is one of my haunts, did you try their amazing dry ribs, so good! I haven't tried Kuma Yama yet as we normally go for the $26 buffet lunch at The North Face Bistro but ill be sure to give it a go next time. Thank you so much for reading and commenting! Its great to get feedback from a local! Loved Earls and sadly did not try the ribs - they sound amazing. Definitely add Kuma Yama to your list although that buffet sounds like a great option too!